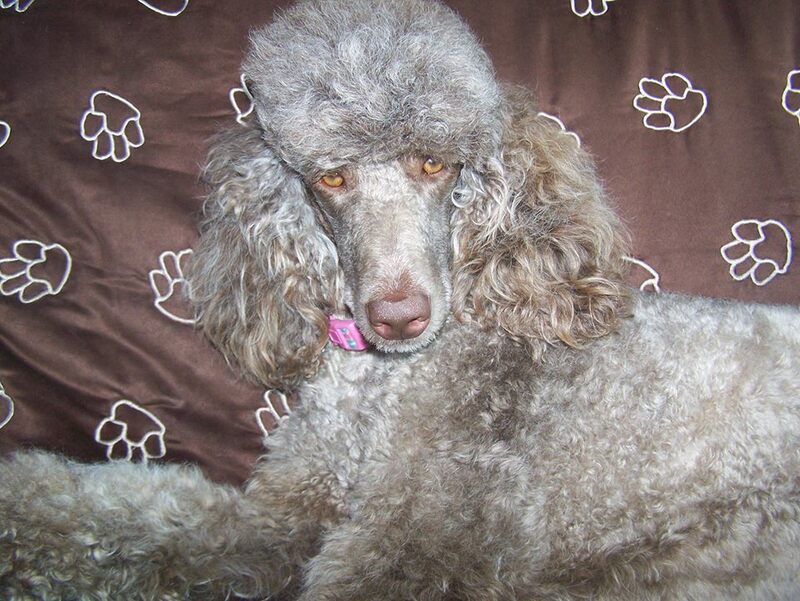 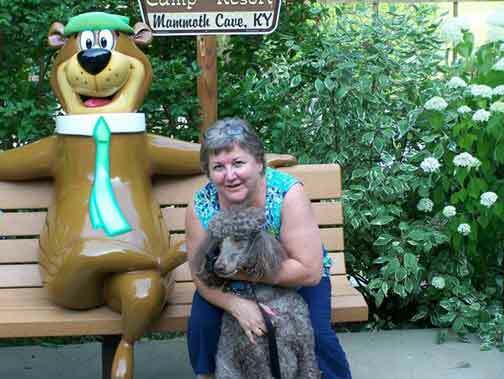 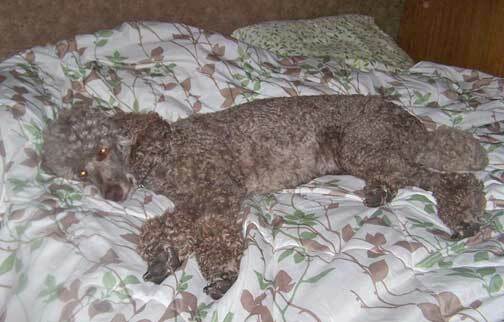 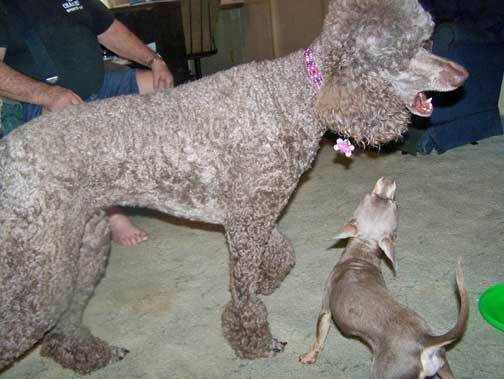 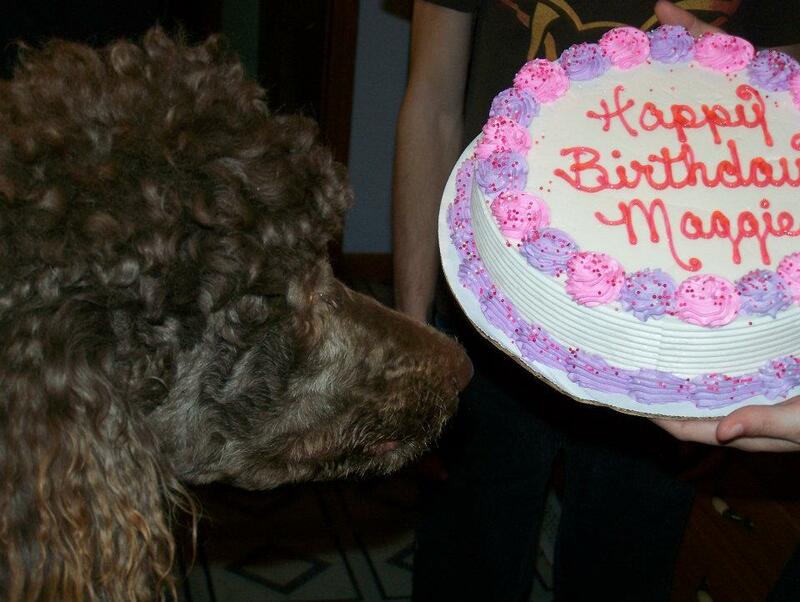 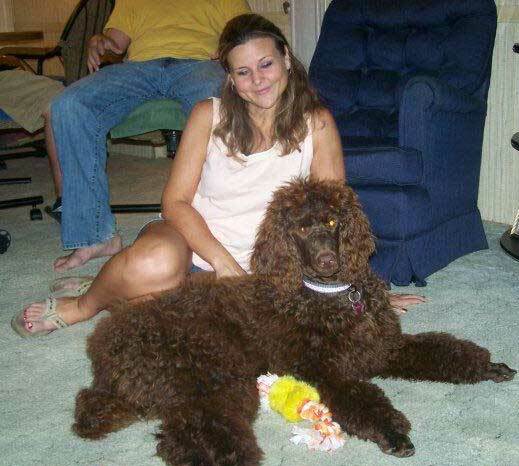 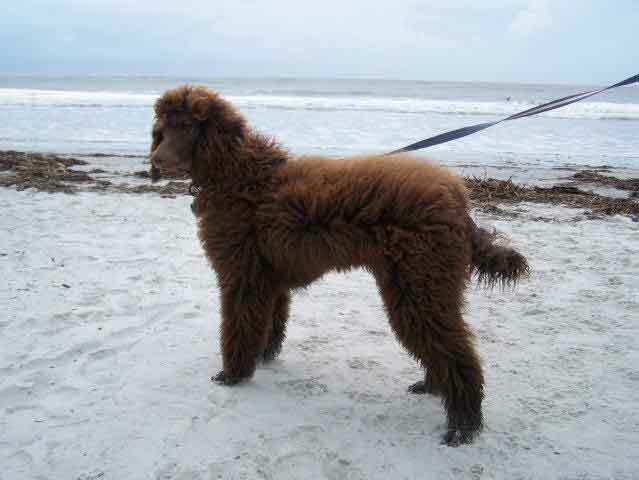 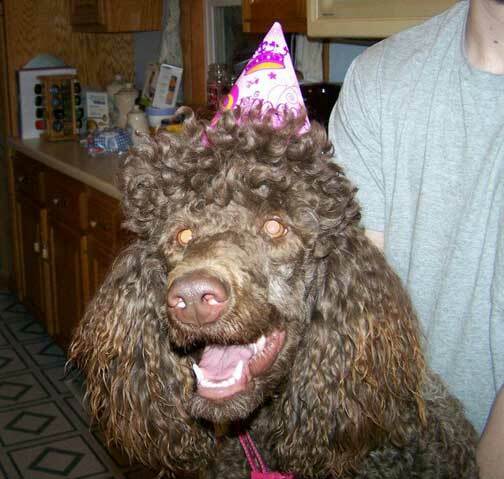 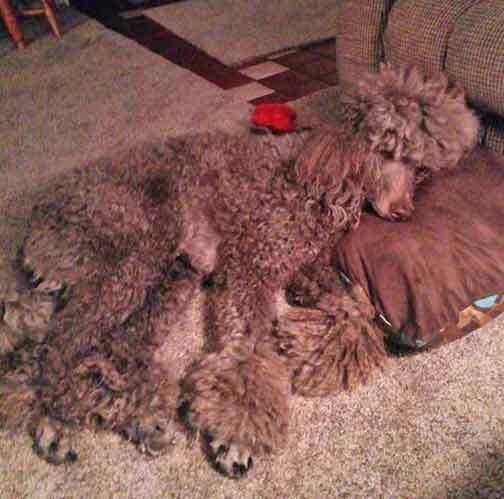 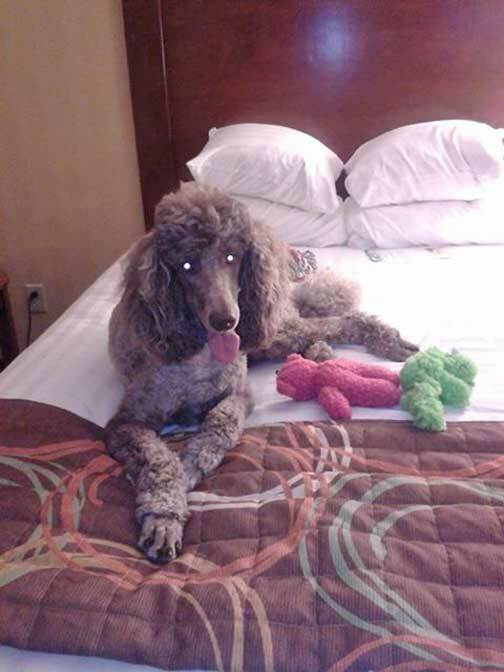 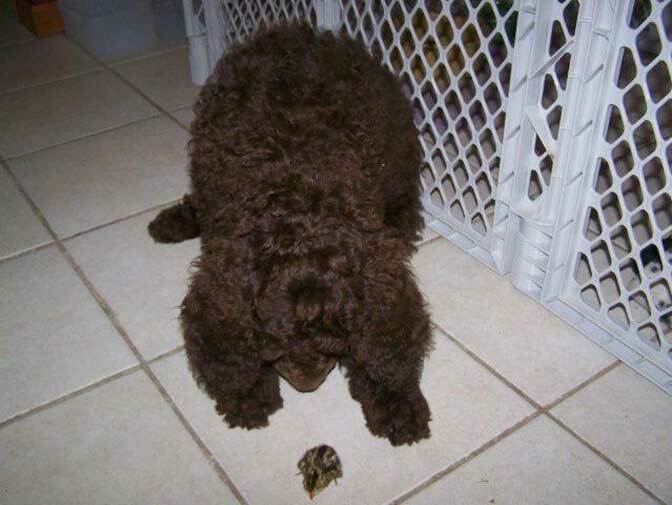 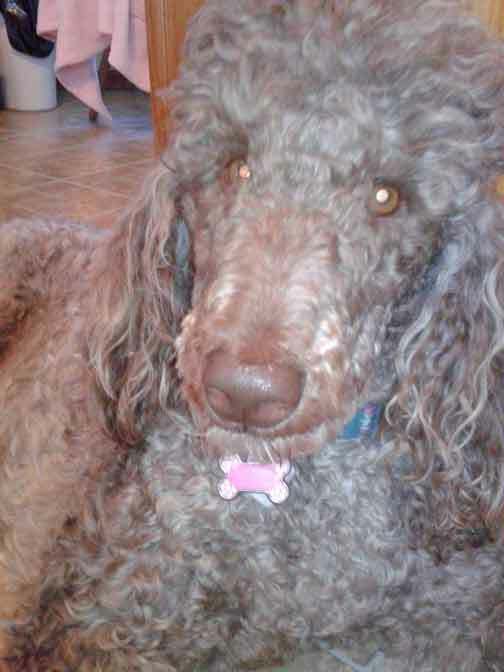 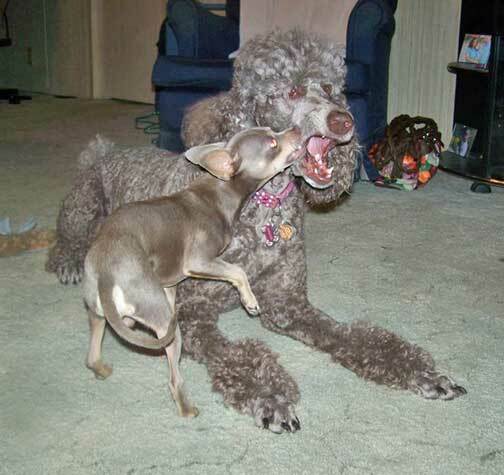 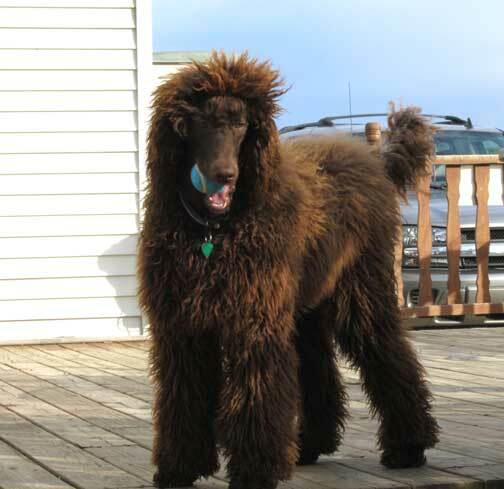 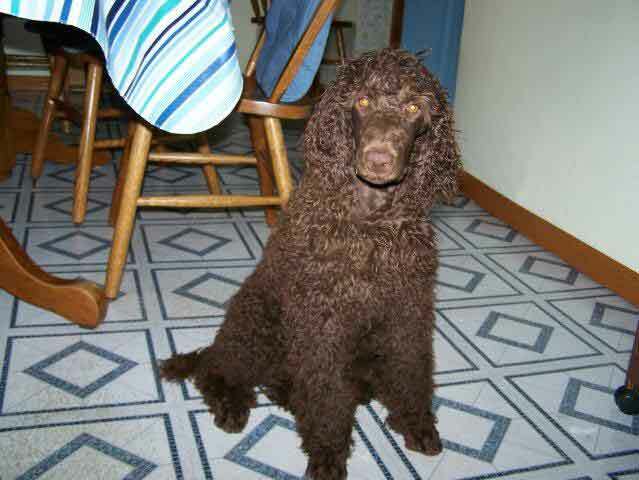 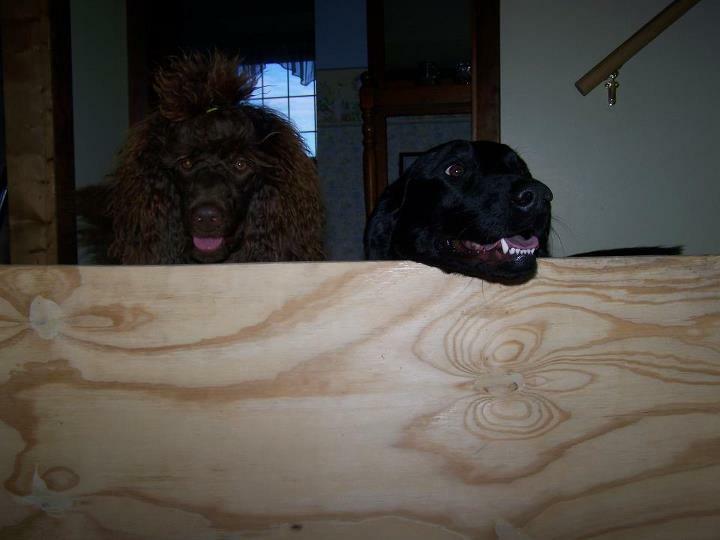 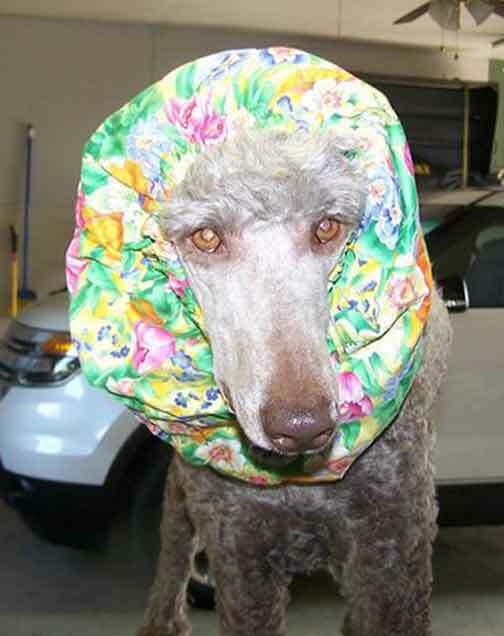 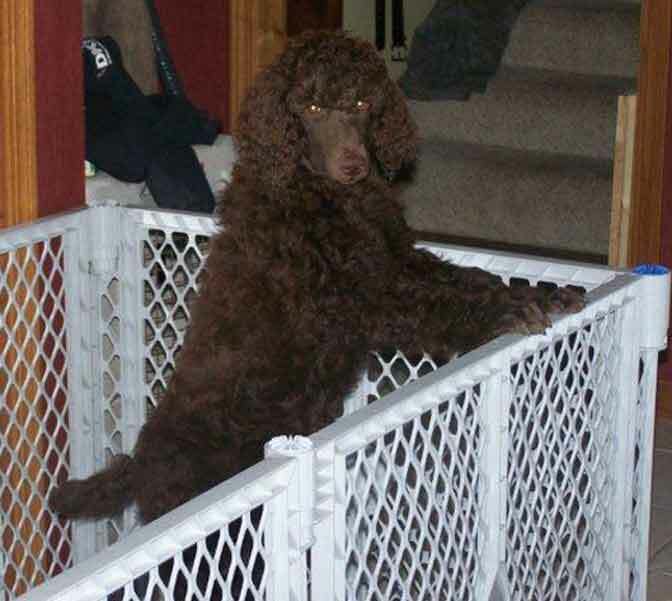 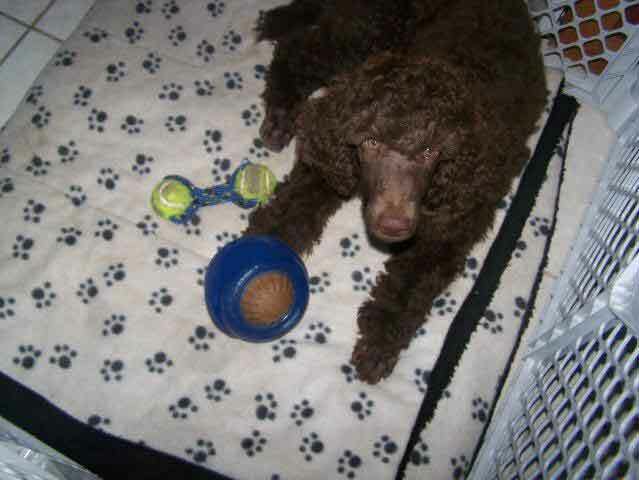 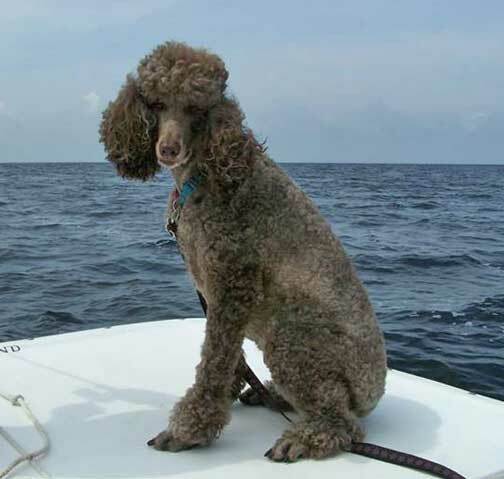 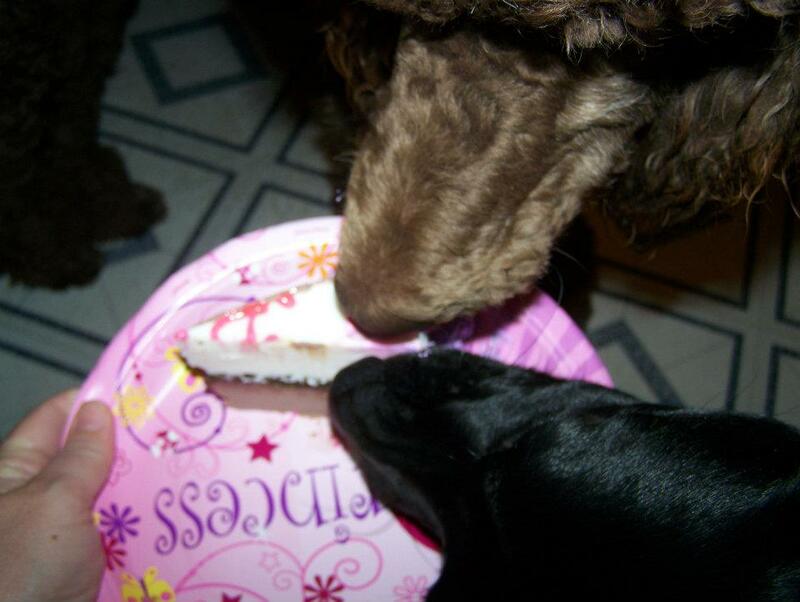 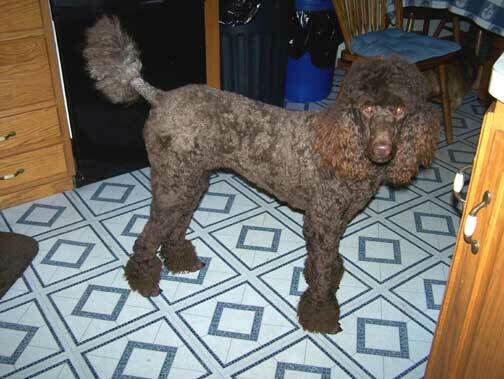 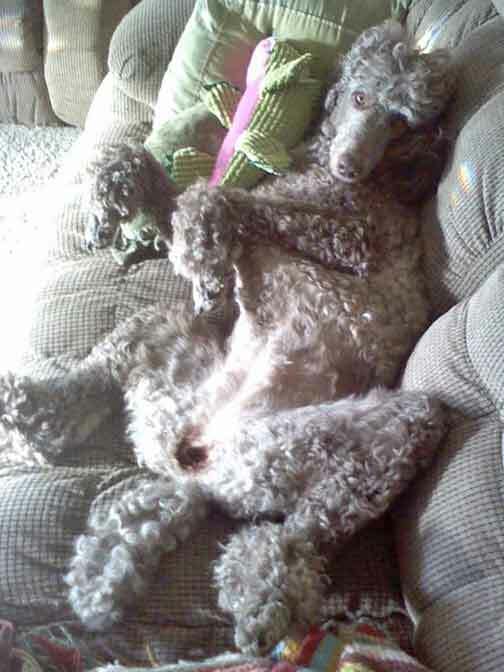 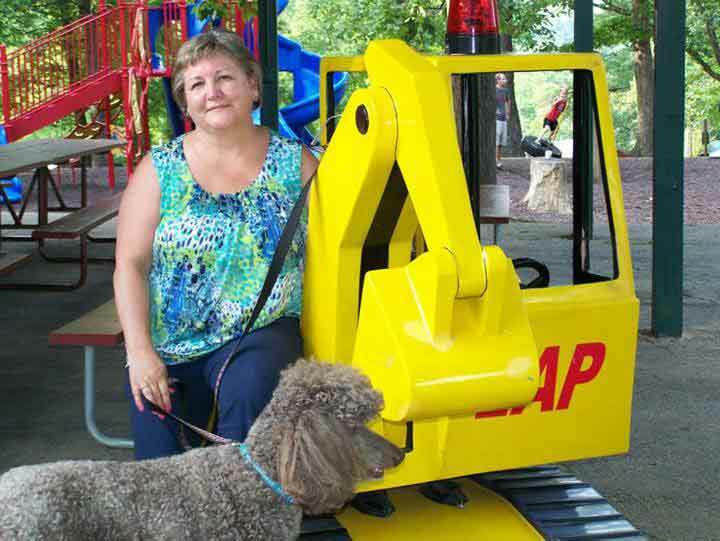 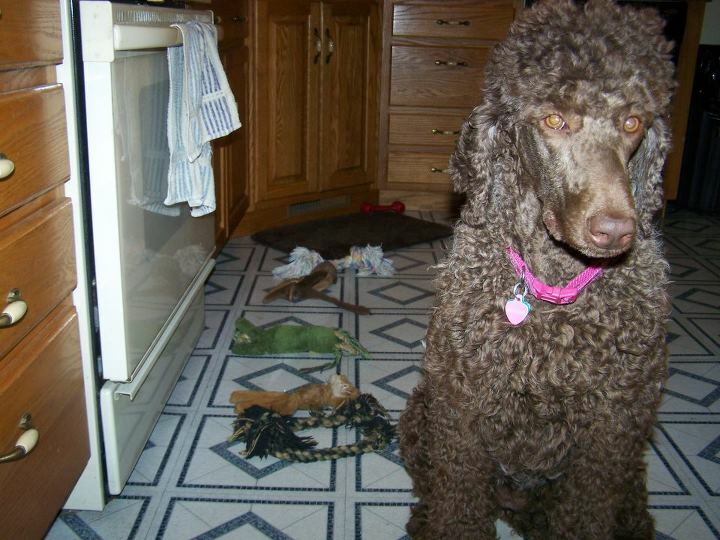 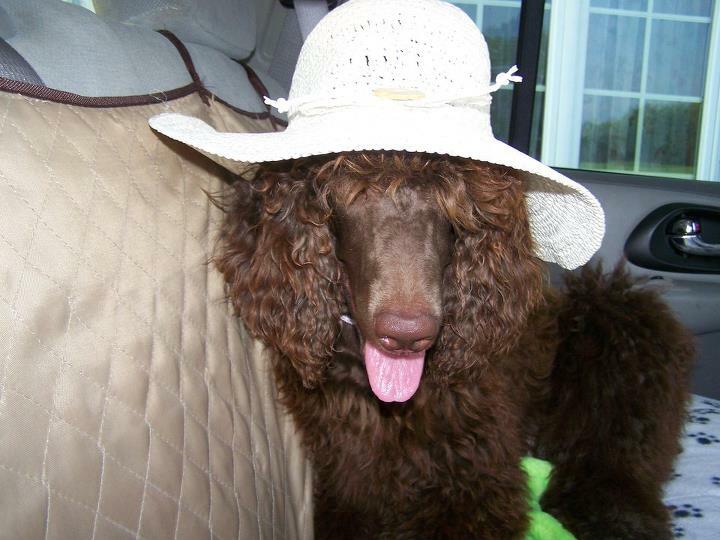 Royal Standard Poodle Brown Maggie at home in N. Liberty, IN. 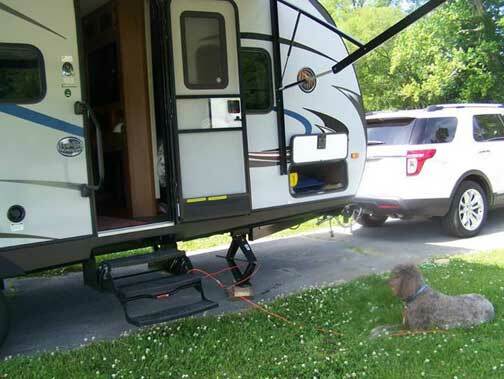 Loves camping, hates the briers! 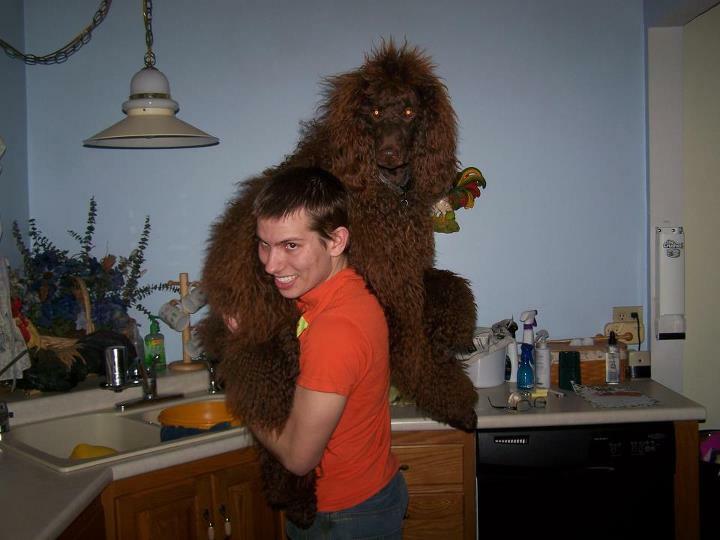 (who wouldn't with that hair) The sun makes it look red. 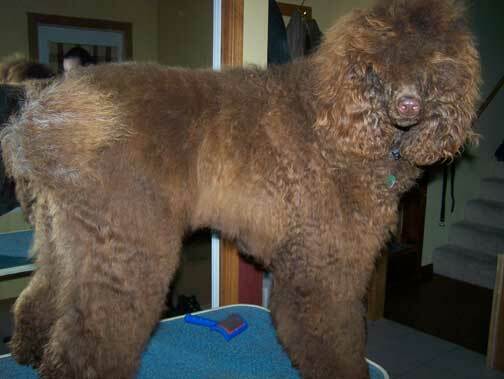 52# at 6 months old, 23" at the shoulder - Going to be one BIG Royal Girl!! 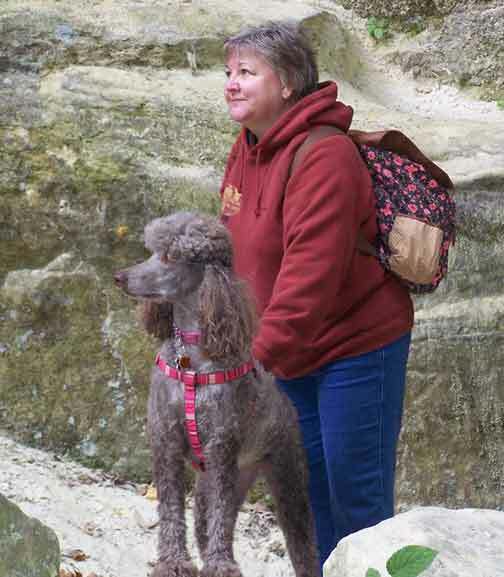 "No mom it's not picture time, I WANT those birds over there!!" 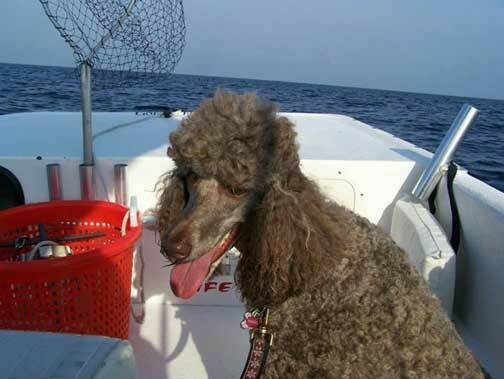 "After a long day on the boat its time to relax!" 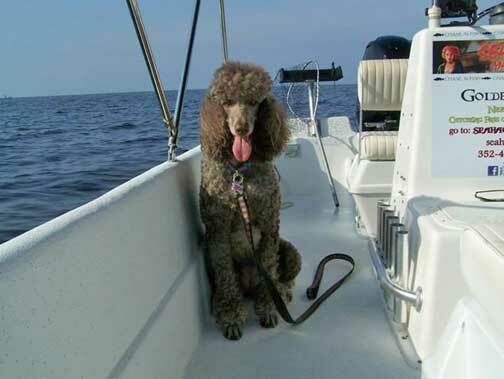 "What a great day for a boat ride!" 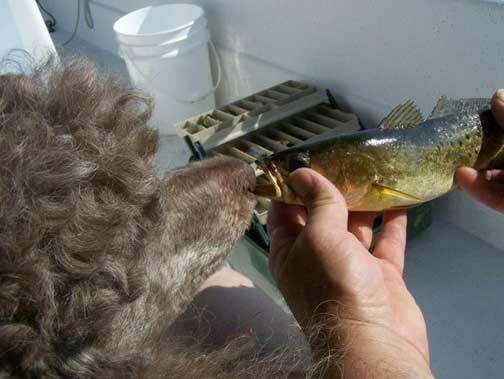 "Watch out that fish can bite your nose!" 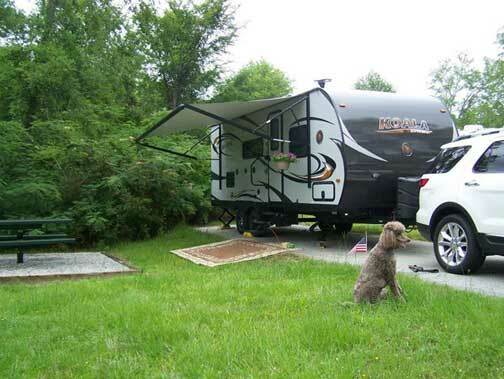 Our campsite in Macon, Georgia. 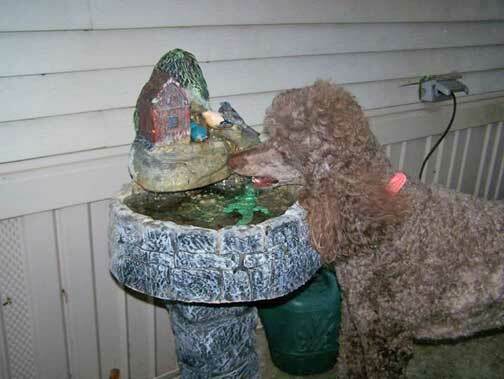 "I like to drink from the gator fountain." 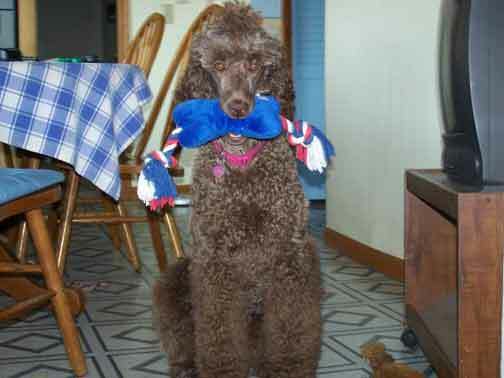 "My special 4th of July toy, Woo Hoo!" 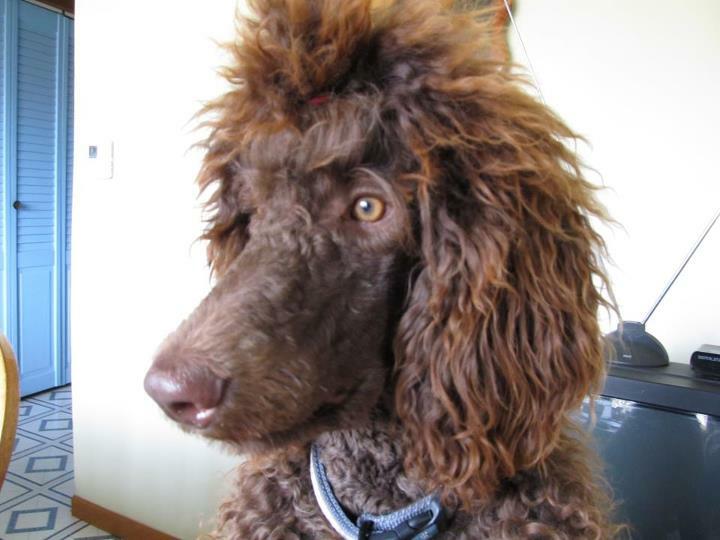 "I have some of the best hair styles!" 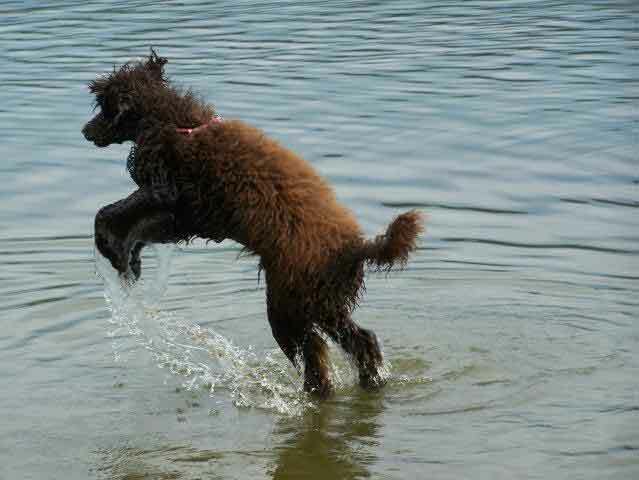 "I'm going to get that fish!" 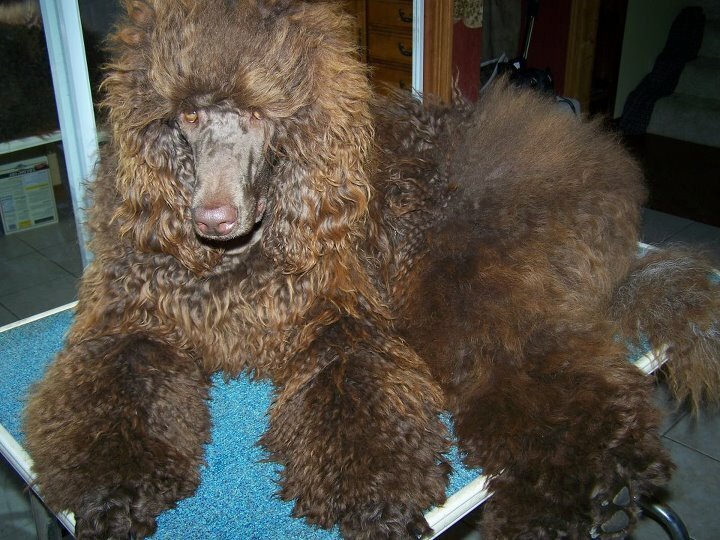 Here I am in January 2012 with my super long hair - LOTS of work too! 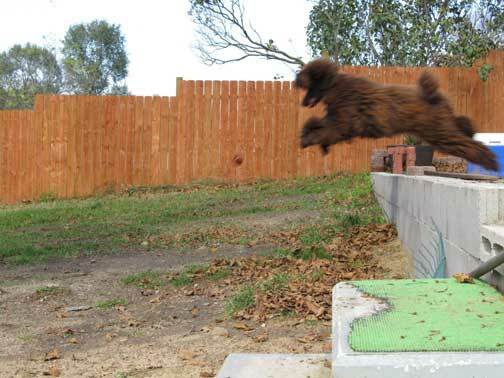 Chasing/flying for her ball. 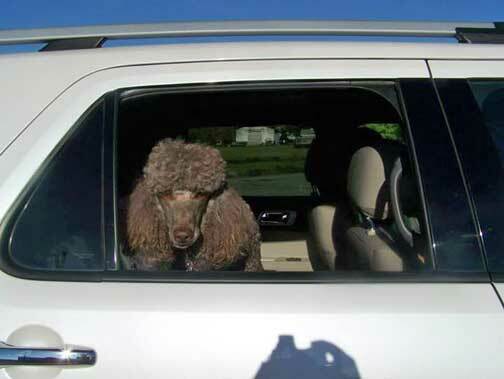 She is very driven to get what she's going after! 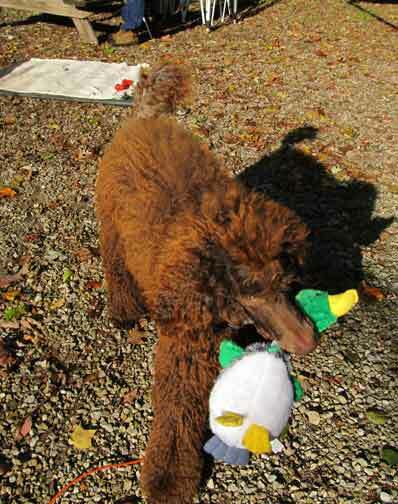 Wasn't allowed to shoot real ducks so she got a stuffed one. 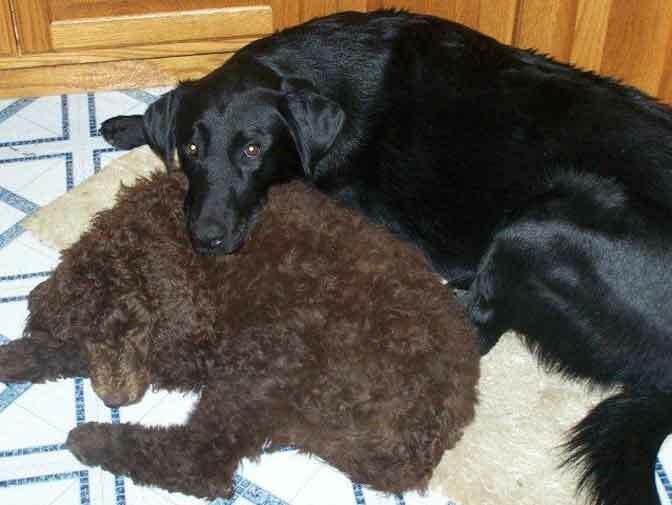 She is excellent at retrieving though and she knows how to carry game. 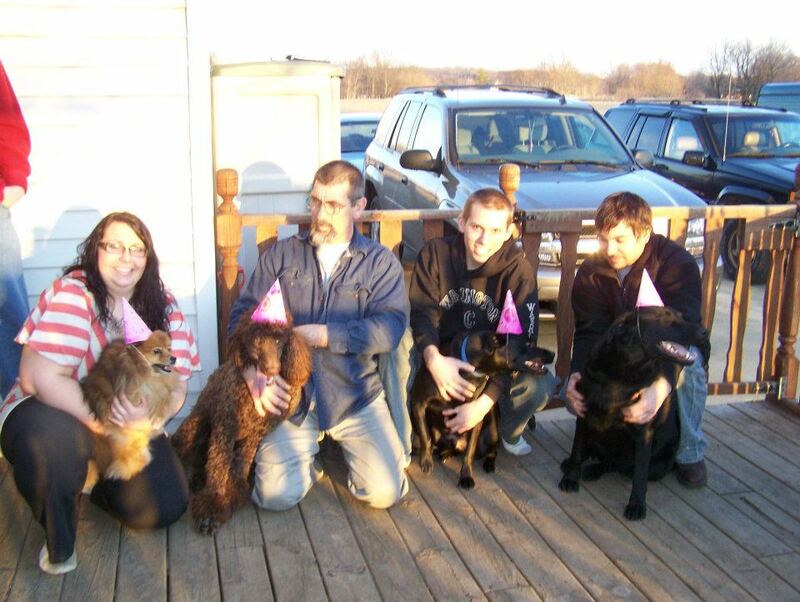 She is center of attention wherever we take her! 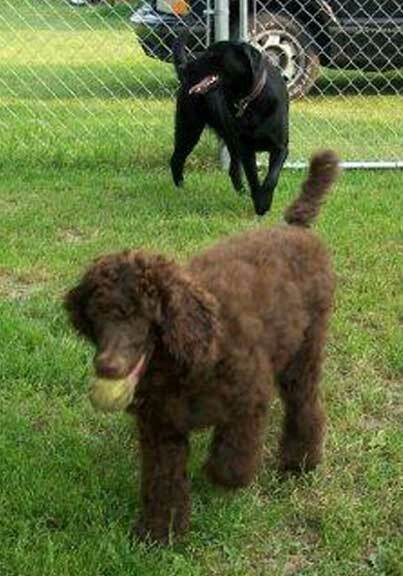 At 6 months old, I enjoy and love the beauty around me :-) as it is given back to me two fold :-))) Visiting family in Florida..
Really enjoying the doggy park > the ball for sure! 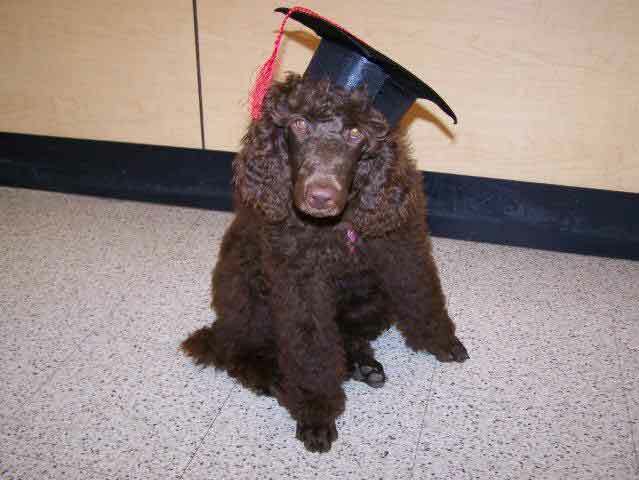 I graduated from training class - YeaY! 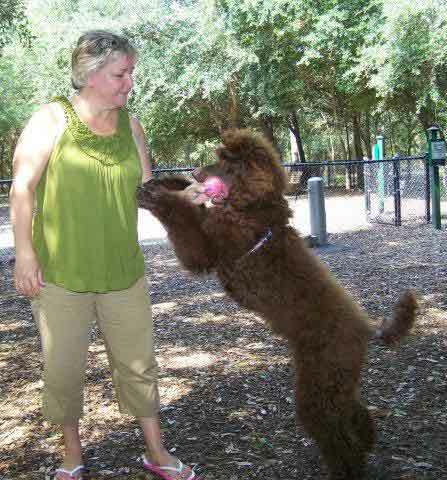 Learning to fetch with a tennis ball :-) We're havin' a blast! 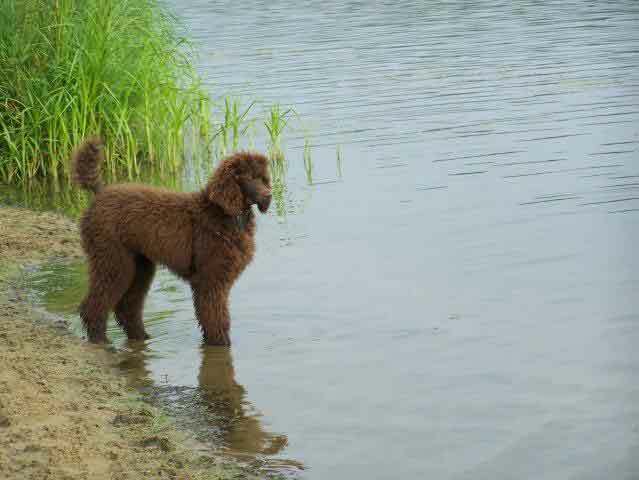 She is getting used to the smell of birds to start training for hunting and she is going to puppy kindergarten to learn her basic commands.